Internationally renowned illustrator Will Broome’s first solo Manchester exhibition has opened at PLY: a retrospective exhibition showcasing twenty of his finest large-scale paper stencil works and colourful illustrations. 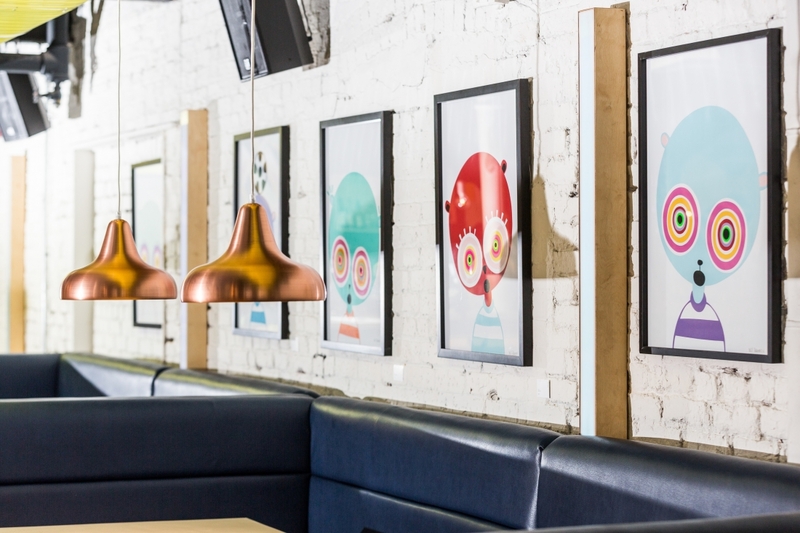 Expect an eclectic mix of the artist’s signature wide-eyed characters – including pandas, bears and owls – at Manchester's latest bar, restaurant and creative space, which has also happened to officially launch its 2015 arts programme at its Northern Quarter venue. British illustrator, and Central St Martin’s graduate, Broome’s work is born out of his love for drawing and he likes the simple art of making a mark; his work is well-known for high profile collaborations with the fashion elite including Marc Jacobs, Gucci and Hugo Boss. His illustrations have featured on designer catwalks and in campaigns for Topshop, Harvey Nichols and Wedgwood, where his trademark style has earned him a reputation as one of the UK’s most prolific illustrators. Make sure you pop along to PLY to see this fantastic exhibition. More details over on www.plymcr.com and www.williambroome.co.uk.